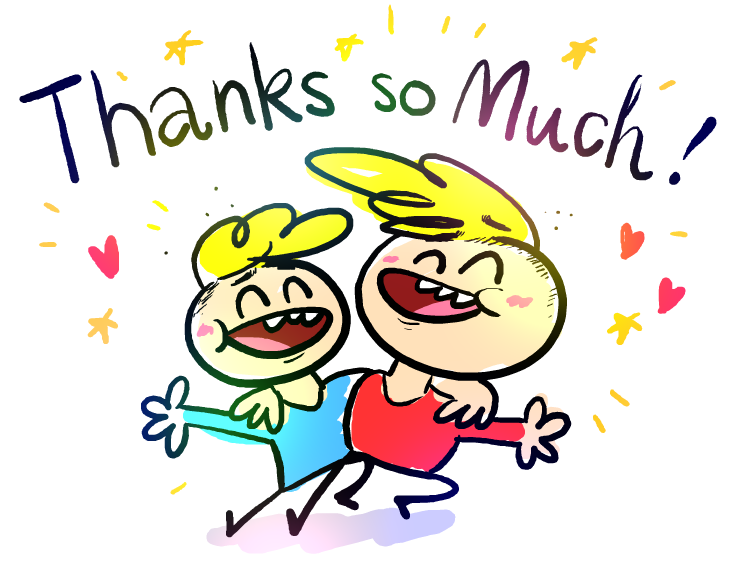 We are Tommy & Markus, TwinTrash, cartoon-creating twin brother duo from Norway. If you like our stuff, please help fund their continued creation! Pledging any small or huge amount would make us extremely happy and motivated to keep making original cartoons for you! The thing is, although we do freelance work, it would be really sad to not keep the TwinTrash channel up and running with new fresh cartoons coming out regularly. That's why we've made this Patreon page, so that YOU, our beloved viewers and fans, can (if you want) donate a small amount PER CARTOON we release on our YouTube channel, so that WE can make more stuff! Check the rewards and thank you so much! $5 or more per video! ➜ Screenshots/sketches of upcoming cartoons! $10 or more per video! ➜ A SHORT THANK YOU SONG FOR YOU! ♥︎ Tommy and I will send you a song filled with our gratitude! $7 of $10 per video! $10 will successfully supply us with a cup of coffee each while we animate the next cartoon.